We make no bones about it – Norway is one of the most amazing countries to visit, especially by cruise ship, and this voyage just about has the lot. Set sail on Saga Sapphire from Dover in July and you can visit quaint villages, historic ports and experience the UNESCO-protected landscape of Norway’s stunning fjords. In the evenings, guests can also get into the 1960s groove with the Steve Love Band and, to continue the theme, a 60s culture speaker will also be on board to bring back memories of the ‘Make love, not war’ era. And then there are the ports. 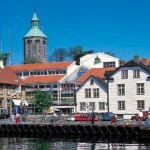 Old Stavanger (above) is characterised by white boarded houses, fantastic gardens and cobbled streets. Extremely quaint and dating from the 17th, 18th and 19th centuries, these houses are still lived in today and make for a fascinating tour. You can also explore the beautiful Lysefjord, where the cliff walls rise more than 300ft out of the still, blue waters for a distance of more than two miles. 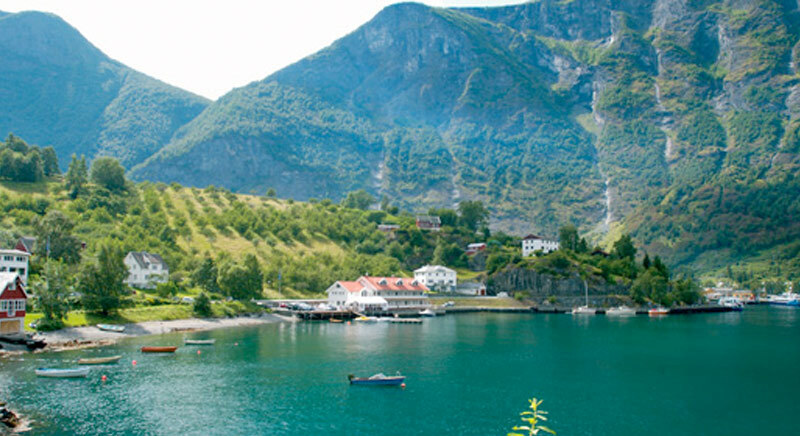 The cruise then calls in at Flam deep in the Aurlandsfjord (above), surrounded by picturesque scenery of meadows, orchards and imposing mountains. Here, guests can enjoy a choice of several excursions, including include a ride on the Flåm Railway – one of the most dramatic train journeys in Europe, passing dramatic cascading waterfalls, steep hillsides and snow-capped mountains. Over a distance of less than 13 miles, the track climbs from sea level to approximately 2,850ft, crossing back and forth across rivers and through 20 tunnels. Next up, the impossibly pretty village of Olden stands at the end of the beautiful Nordfjord, with its quaint wooden homes, miles of forest and simple way of life. You can visit the Briksdal Glacier on a guided hike or the Norwegian Glacier Centre, where you can learn about how glaciers and glacial lakes are formed. Finally, the Sapphire calls into the quintessential Norwegian port, Bergen (below) Surrounded by mountains and fjords, the waterside city has one of the most spectacular settings in all of Scandinavia and is a guaranteed hit with passengers. 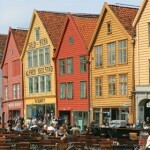 There has been a settlement here since Medieval times and the colourful waterfront buildings of the Hanseatic Wharf, known as the Bryggen, are testament to its fascinating history. The Bryggen is listed by UNESCO as a World Heritage Site but is just the start of a comprehensive selection of excursions in Bergen, which allow visitors to discover the city’s many fects, from the open-air fish market and narrow cobbled streets to the open-air Old Bergen Museum. For a bird’s eye view, a ride in the funicular to the summit of Mount Fløyen, while there is even an option to try sight-seeing from a seaplane. Saga’s 7-night Spellbinding Norway voyage costs from £909 per person, departing Dover on July 24 and calling at Stavanger, Flam, Olden and Bergen. And that’s our Saga Week in all its glory; seven days of some of the most enticing cruises, in great style, sailing exclusively from UK ports and with an all-British onboard style. There is a lot to recommend them – and a lot more cruises to try!